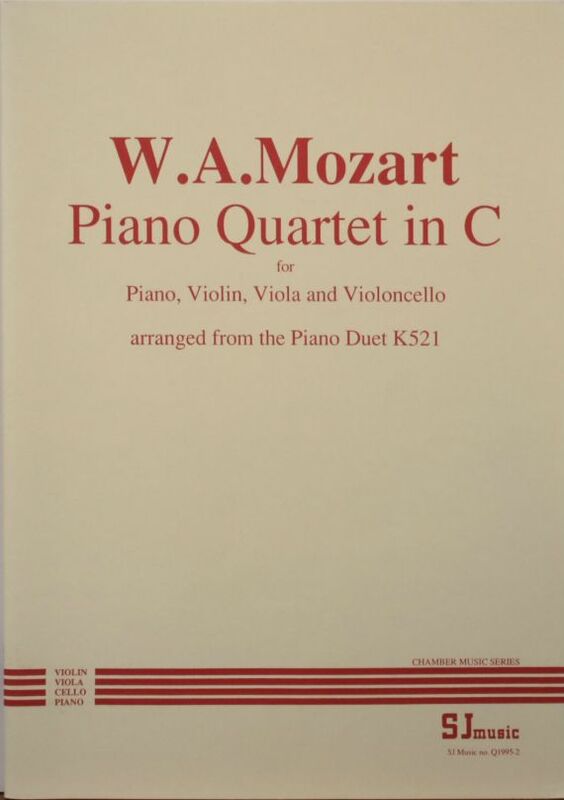 This piano quartet started life as Mozart’s piano duet K521. John Cooley’s arrangement of it for piano quartet is very successful, and brings this lovely piece into the hands of string players. The last movement seems to be a tribute to J.C.Bach, whom Mozart met in his youth, as it has a close thematic resemblance to one of Bach’s piano duet movements in the same key. Cooley was born in London in 1923, and is an enthusiastic amateur violinist and violist. His worked as a water engineer, becoming Head of Winchester’s water supply by the time he retired. 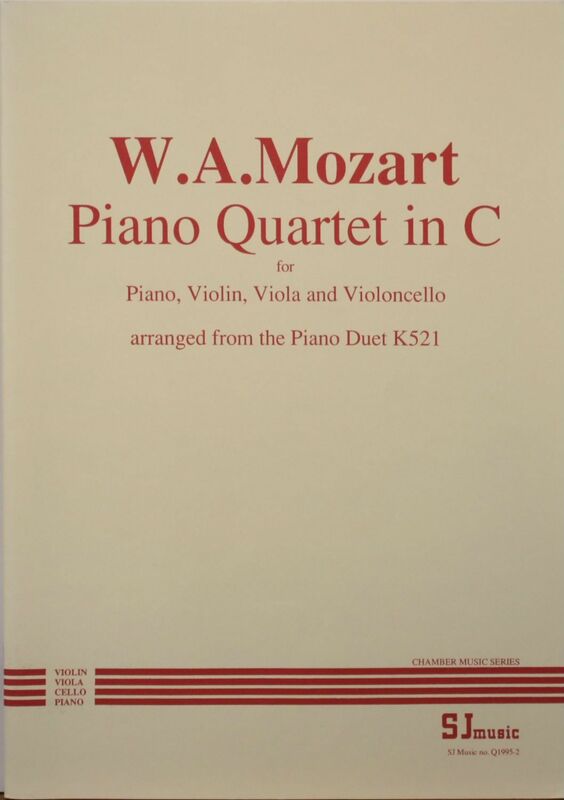 SJ Music has also published Cooley’s arrangement of Mozart’s piano duet K497 for piano trio (T1988-4).